WB Group of Poland has unveiled a new product for Special Forces that uses augmented reality for dismounted operations on the battlefield. U-GATE was unveiled at the Association of the US Army (AUSA) Annual Meeting in Washington DC from the 9–11 October. The system uses augmented reality (AR) technology to superimpose computer-generated images onto the user’s field of view. Many companies are looking to adapt this technology for military, use but WB Group says it is among the first to develop a working product. U-GATE is a C4ISR-E(xtended) system, which enables Special Forces operatives to direct strikes from loitering munitions, such as the Warmate System, and analyse the battlefield. It includes a headset that uses AR technology providing Special Forces with the ability to visualise the battlefield and add information or markers that can instantly be viewed in both their and other operative’s field of view. U-GATE also enables full control over nearby Unmanned Aerial Vehicles using a virtual ground control station user interface displayed in front of the soldier. WB Group says AR will enable quick and efficient access to data for each soldier without the need to look away from the battlefield towards the screen on a handheld device. It will make it easier for soldiers to interpret commands and battlefield data to the surroundings, particularly when under pressure. 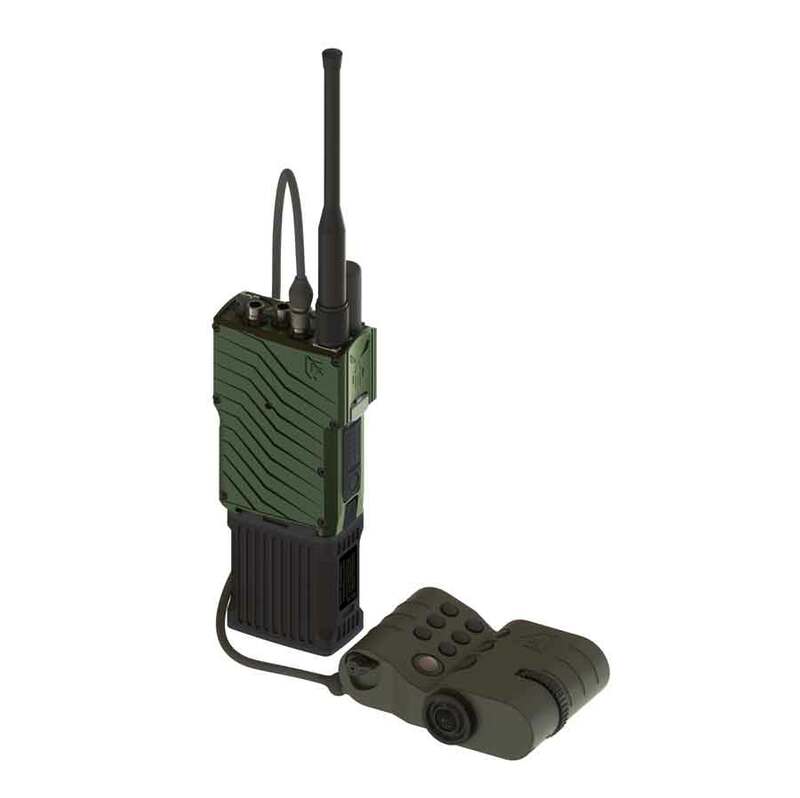 In addition to the AR headset, the U-GATE System includes a wideband software defined radio, Perad, to allow for data transmission between different headsets and operators of loitering munitions, and a portable computer to process the acquired data. The headset which includes sensors, video cameras, and high-resolution displays has a mass of under 1.5 kg. The U-GATE system enables the OODA (Observe, Orient, Decide, Act) loop to be enacted by small groups of soldiers. It incorporates observation, analysis and strike abilities into one device and allows for full independence of Special Forces units. WB Group says small combat groups can operate completely autonomously in difficult to access or isolated areas using the U-GATE system. • Easily measure the distance and position of objects in their field of view.